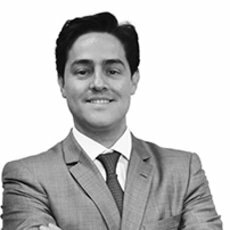 Thomaz has experience in regulatory and corporate aspects of insurance, reinsurance and pensions, focusing on transactions, such as mergers and acquisitions and distribution contracts. He worked as a foreign associate in the New York office of Cleary Gottlieb Steen & Hamilton. He is a member of Insuralex and the Association of Foreign Insurance Companies. He is fluent in Portuguese, English and French. Master of Laws (LLM), Columbia University. Who’s Who Legal: Brazil – Insurance & Reinsurance (2018).